The adoption of body cameras by Metropolitan Police Department officers in Washington, DC had no discernible effect on reducing citizen complaints or use of force by the officers, according to the latest study by the MPD. "We found essentially that we could not detect any statistically significant effect of the body-worn cameras," says Anita Ravishankar, a researcher with the Metropolitan Police Department and member of a policy research group working for the city government Lab @ DC. The study ran for a year and half, from June 2015 through December 2016, and had a control group and a treatment group of over 1,000 officers each. Researchers looked at police use of force based on officers’ self-reported incidents, civilian complaints, policing activity and judicial outcomes. The use of force per 1,000 officers remained at 50 for a 90-day period before and after the deployment of body cameras. The complaints from citizens per 1,000 officers likewise held steady at 25 for a 90-day period before and after body cameras were rolled out. Among the findings were that some officers assigned cameras would not install or use them, while some officers not assigned cameras might have obtained them. “On average, treatment officers uploaded about 665 videos annually compared with 14 videos uploaded among the control officers. The average video length was 11 minutes by the treatment officer, whereas by the control officer is was just 0.8 minutes long,” said the report. 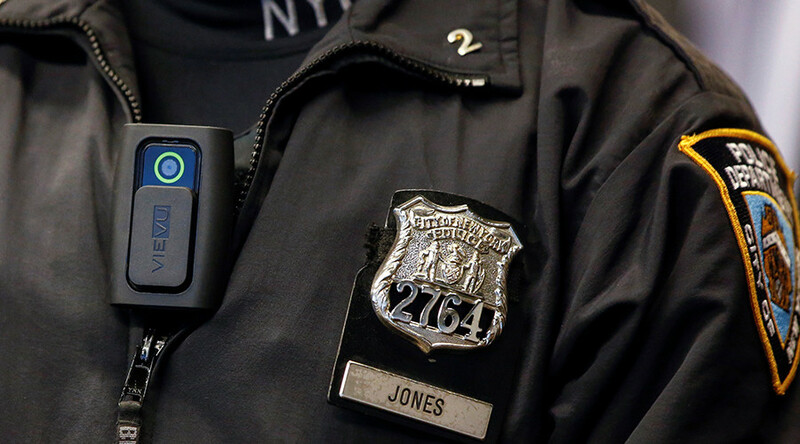 The Metropolitan Police Department is one of the largest forces in the US, with some 2,600 officers wearing cameras on their collars or shirts. Friends and relatives of Terrence Sterling would disagree. The African-American motorist was shot to death on September 11, 2016 when he was pulled over for driving erratically. Officer Brian Trainer turned on his body camera only after he fatally shot Sterling, in what he said was self-defense. Graphic footage that was eventually released showed Trainer and his partner giving aid to Sterling, who was bleeding out on the street. Neither officer was charged over the incident, though the MPD asked Trainer to resign. In the wake of high-profile shootings, police departments across the US have been rapidly adopting body-worn cameras, despite a lack of research on how the technology can change policing. In 2015, the US Justice Department awarded over $23 million in funding to support the implementation of body cam programs, with 95 percent of larger police departments either implementing or intending to adopt the technology. The MPD report noted that the findings might be peculiar to Washington, DC, where the police force has responsibility and experience in supporting a variety of large-scale events, from presidential inaugurations to frequent concerts festivals and protests. “For example, a control officer without a BWC may be affected by his or her awareness of a nearby colleague in the treatment group who is equipped with BWC…[the cameras] might have caused a shift in the norms of broader force even though the devices were only deployed to a subset of the officers,” stated the report. “The true effect of BWCs may also be masked by the widespread presence of non-police cameras (e.g. citizens’ cell phones. 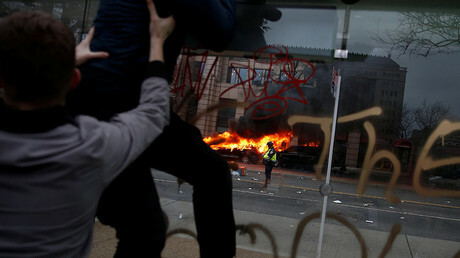 ),” with civilians routinely recording their encounters with MPD officers, the report concluded.